Why does the best part of wearable electronics and devices using Internet of Things exist? The reason could be to make access to limited resources more efficent by motivating us to change our behavior. In the Fitbit case, the rare resource is our health and Fitbit tries to motivate us to move and increase the health. 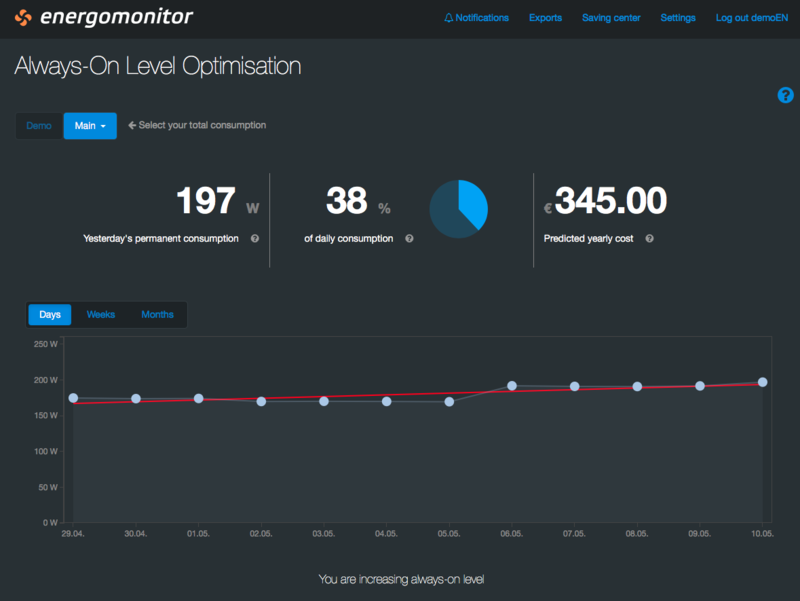 Energomonitor motivates the user to better use the limited resource – energy – and it makes the user behave in a more economical way or automatize the use. The key word in both cases is the “motivation” because only through change of user behavior can a goal be reached because it depends on the user behavior. And that is my topic: How to use the motivation strategy to change and automate the user behavior in the wanted direction. Let’s take a look at two concrete examples. 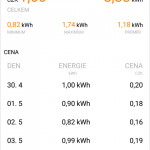 I know Energomonitor very well, I participate at its development – it is about connecting software and hardware in order to measure and control energy consumption and security in household or small or middle business. I use Fitbit from its inception, I follow closely its functions and try to think about them – would it be suitable to use in energy sector for Energomonitor, because I suspect those functions are results of serious pondering. What does psychology tell about motivation of people? There are several reasons: feeling good, desire to reach this feeling, desire to conform, reward and punishment. 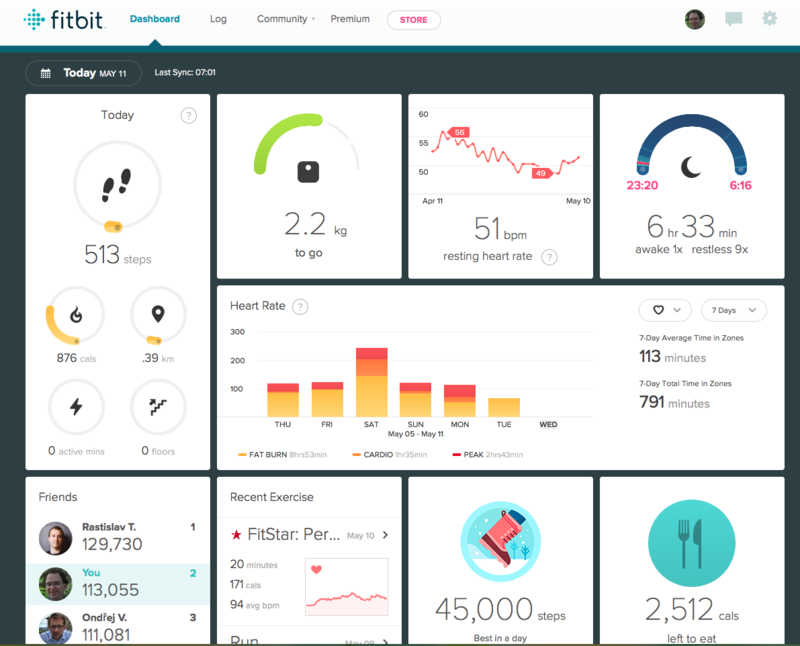 Fitbit would not sell in society where being fat is a norm. Why does it sell in USA where the percentage of obesity is elevated? Because the cult of skinny beauty and fitness exists there also, therefore there is desire (and hope) to reach and keep a good physical appearance. 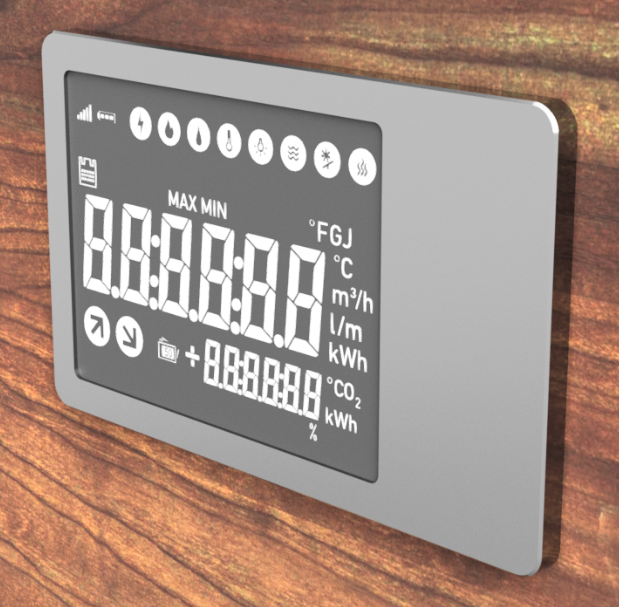 Energy savings are different. 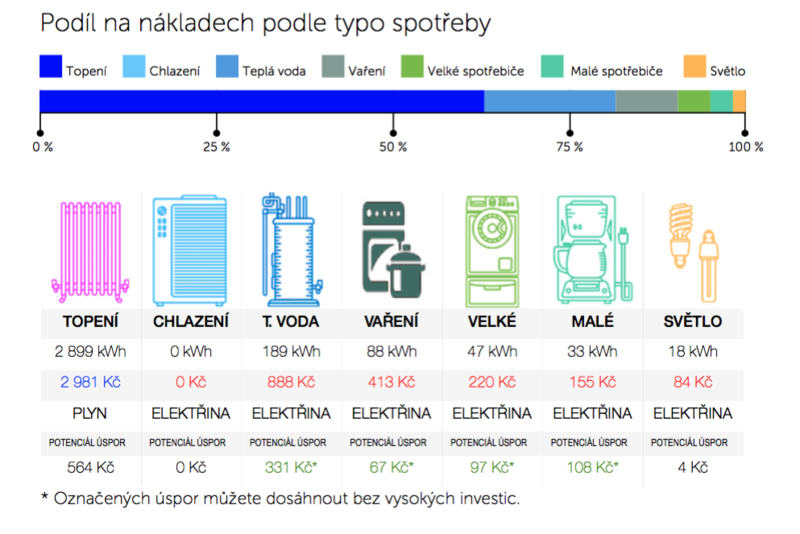 On some market the energy saving is popular (Germany, Italy, Holland) and on others it’s not in the interest of users, even though it could result in important savings (Czech and Slovak republic). This complicates the sale and marketing of the device, the motivation of user itself is still the same. 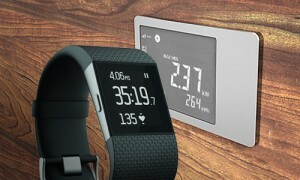 In order for devices like Fitbit or Energomonitor to function properly, they must be used in the long term and therefore be interesting for its user. The client can’t put it away as “boring” after a week. How to make it interesting? If all the client gets is a bunch of raw data, he loses the motivation really quickly because the number of steps or consumed watthours does not explain to the user what is going on. That is also a difference between the market position of FitBit and Garmin. 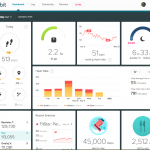 Fitbit manufactures a device for low-motivated people who want to move a bit more, Garmin for sport people who are already motivated, know the measured values or are able to study those and want also dive into the raw data analysis. FitBit is not suitable to serious running, while Garmin Fenix/Forerunner is the ideal choice for amateur or professional runners even though both work with same data. To catch the attention means to offer attractive appearance (and probably price also) and promise interesting results. Technically-oriented people do not like the term “promise” but to promise means to know what you promise and also needs to have clear understanding of the benefits for the customer. Fitbit has a motto “Track activity and sleep. Make health a habit.” It promises you to create healthy habits and it helps you do it. It does not force you to overextend yourself and it is very important for lots of people because they do not want to work out too hard. Sport watch Garmin has slogan “beat yesterday” as in having better results than yesterday, therefore working harder. 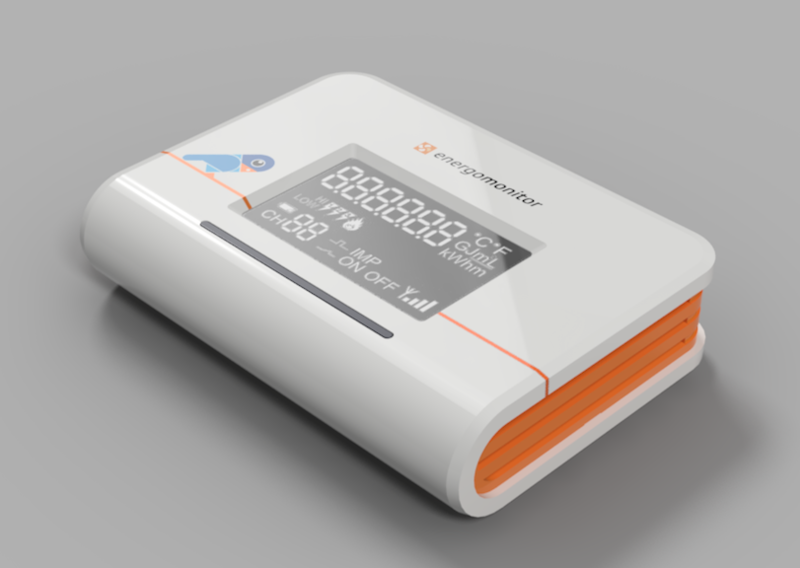 Energomonitor has slogan “When every watt counts, bill goes down”, because as FitBit it is a tool for a common users who wants to maintain their standard of living and change their habits, continuously, not for a professional energy specialists. Catch the attention means to promise a set of functions tailored to the needs of target group. To persuade is the second phase. 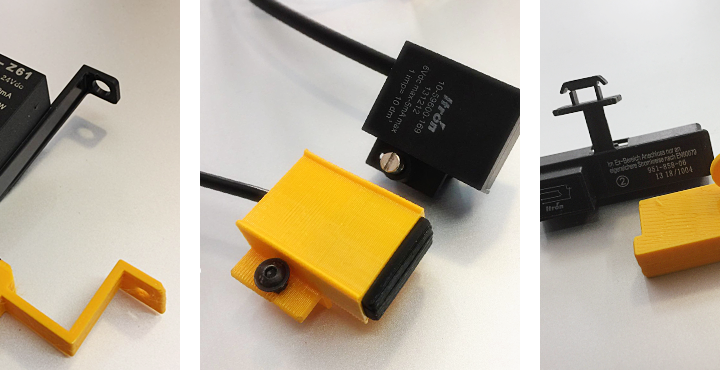 Interested costumers get a set of functions to use and slowly explore them. The learning curve needs to be taken into account because the majority of clients, if they are supposed to use complicated functions, they need to be highly motivated or need to learn them slowly. To keep is the third phase. User has already explored the gadget and the question is now: will they use it long-term? Without long-term use the desired changes (i.e. losing weight, gaining physical strength or lowering the energy bill) cannot occur. Those points may be combined – depending on the goal and quality of data used to the evaluation. Some data are inherently imprecise or instable (the weight changes during the day) so one-time weight dip under the set limit does not mean the weight will stabilize at this value. We need to remember the yoyo effect which takes place after every loss – of weight or the energy consumption. After reaching the goal, the user will no longer be aware of it and it can all revert to the starting point. We need a feedback control loop with a longer interval, warning against weight gain or electricity consumption increase to the initial level. What stimuli can motivate the user in our opinion? Those stimuli need to be translated in the user communication and motivation. 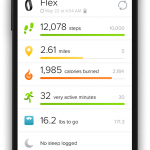 Let us see concrete approaches stemming from the Energomonitor experience and how Fitbit approaches similar problem. The application has two ways to initiate change. 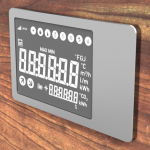 Firstly, the application is sometimes able to carry out the change itself, for example, it can turn off your air conditioner when you are not at home, and the application can be also automated. It cannot exercise instead of you, though. We will not study the automation in this article, although it would be interesting for the energy sector. The second example is the motivation to change user behavior. The application communicates with the users and motivates them to modify their behavior according to above described procedures. But how should it be done? Apparently it is not enough to write on web “do not eat, you will lose weight”. If that was enough all dieticians would be suddenly jobless. This communication must be more sophisticated. 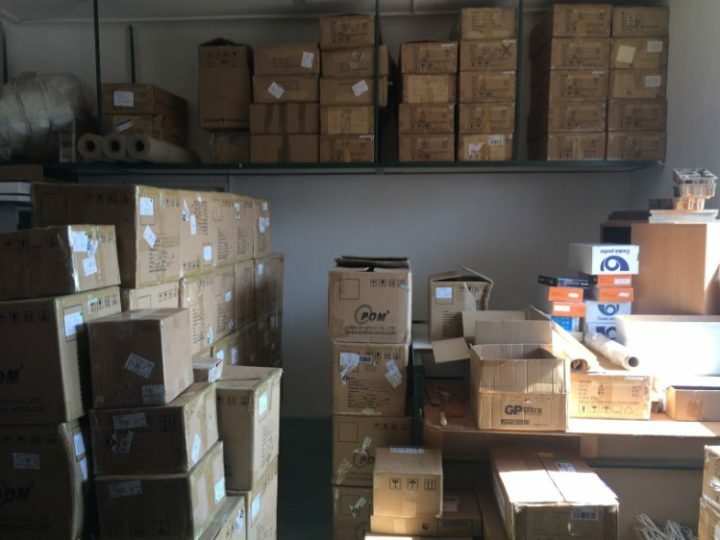 Users should be given primarily continuous data to assure him that measuring is being done and that they can check their status anytime. 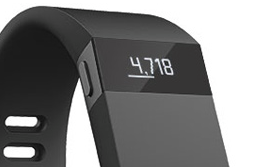 In Fitbit’s case it is the display on a wristband, where you can see the steps, pulse and other current values. 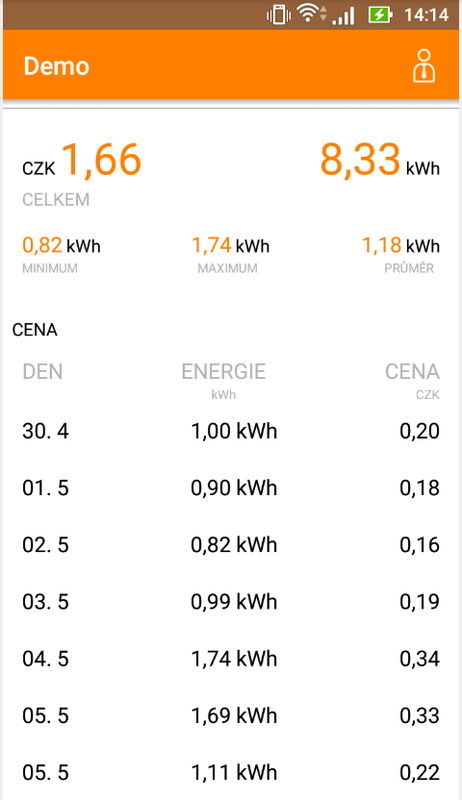 For Energomonitor the display is the homebase where the actual quantities of consumption are displayed. The user is assured that everything is under control. 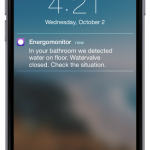 The users also need to have immediate information on the occurrence of any unexpected situation. For example, that they have met the limit of steps on Fitbit or indeed, that they may not reach it. 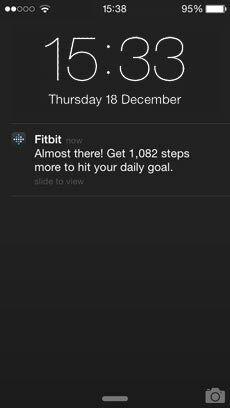 Fitbit does not notify the users on the danger of not meeting the goal at this point. 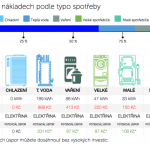 In case of Energomonitor, it may be consumption or costs too large or devices running that are not supposed to run or temperature in the living room reaching 640 ° C and thus suspicion of fire. A typical platform for such notifications is the phone screen, where people are accustomed to receive all sorts of warnings. Thirdly, analytically processed data should be available so users can immerse themselves in it if they are interested in the situation. We do not talk about processed raw data, but about some interpretation, in which, unfortunately, Fitbit and Energomonitor are still lagging behind. They are currently able to tell you whether you are improving or getting worse, both, however, for an annual fee. It is a welcome part of the monetization of content. And fourth – the “big picture” – long-term assessment, which summarizes the results and shifts in trends. It serves the user not only as a periodic statement, but also as a confirmation of investment in equipment. 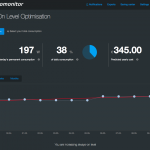 Energomonitor prepares seasonal quarterly report (paid), which also tells the customer what to prepare before the next season. Fitbit does not have similar feature, and it bets on continuous Premium reports, but I believe that after the acquisition of exercise application FitStar they will introduce summarizing long-term results. Let us review therefore, what data types and when are displayed. 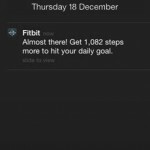 Now let’s look at the existing situation and how the displaying of the data is handled by Fitbit and Energomonitor. While the display on the device itself is rather for control (also due to its size and price), the vast majority of communication is conducted through some type of push messages (email, SMS, push into mobile applications) to attract attention and bring users into the phone apps. 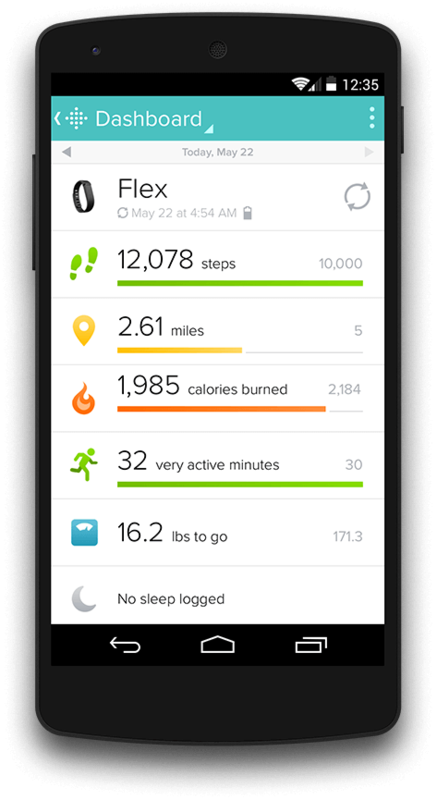 In the phone app user can quickly verify a daily or weekly goal, saving or number of steps, for deeper data analysis he must go to the web application. The hierarchy of information complies with the limits of individual types of equipment when on the wrist display of Fitbit it is not possible to display any large graphs. 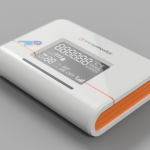 In the case of Energomonitor, there is also an external display. That is the equivalent of wearing Fitbit on the wrist, the possibility to have current and ongoing data visible at the very moment when the user wants or needs them. It helps the user to keep track of what is happening at the consumption point. The above are mainly technological conditions, how to reach people with a message on the site where it would be expected and where their frequency is not annoying. As you can see, both Fitbit and Energomonitor solved the situation very similarly, just with regard to the form-factor of the product which is inherent to the gadget. 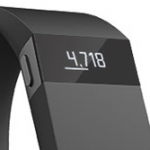 While in the case of fitness wristbands it is possible to assume that users will be willing to carry a device that only informs about the physical activities, in the case of energy consumption we do not think that would be possible and practical to construct such a dedicated device. In the long term, it seems that there is a connection between the mobile phone or watch and fitness features, as is indeed already happening today. 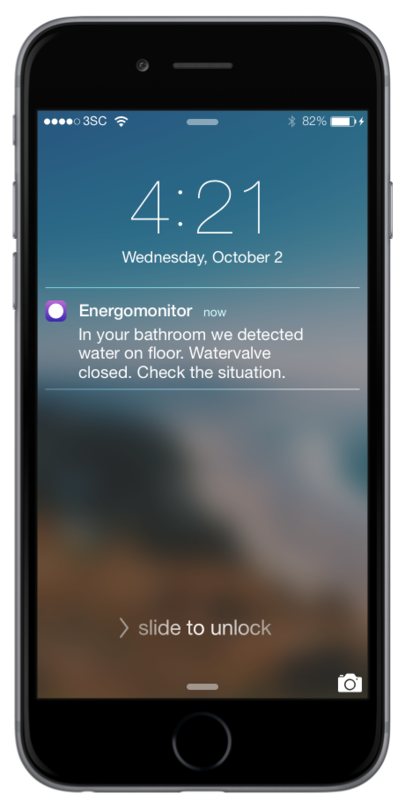 In the case of Energomonitor, the logical link is the mobile phone display and an external display placed in a suitable place in the house. The users then have all the data at their fingertips.